Weather you already have a website or you are looking for a brand new design, we are here to ensure your site can be viewed on iPhone/iPad. IPhone does not display flash, so if your website has a flash content it is always a good idea to have an iPhone compatible version of your website. Ardent Infotech has both the design and technical expertise needed to develop a wide range of highly-optimized iPhone applications. 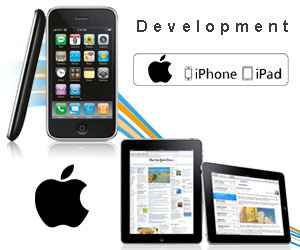 We are geared towards offering custom iPhone and iPad application development and consulting services adding value to the businesses of our clients. We have a talented team of iPhone SDK 3.0 Application Programmers along with iPhone SDK 2.2.1 Application Programmers who have been developing creative, customized, flexible and more usable iPhone Software Applications.